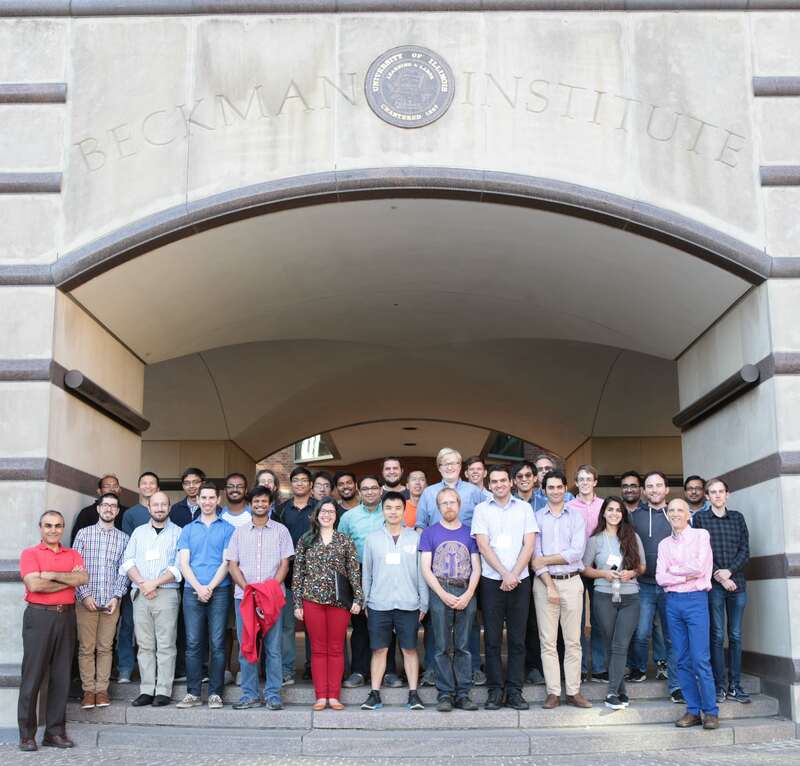 The NIH Center for Macromolecular Modeling and Bioinformatics held, for the first time, a five-day workshop dedicated to Enhanced Sampling Methods and Free-Energy Calculation at the Beckman Institute in Urbana, IL. The participants were introduced to state-of-the-art molecular dynamics (MD) simulation techniques, such as string methods, colvars and free-energy perturbation calculation using NAMD and VMD. The workshop was designed for intermediate/advanced MD users, NAMD users in particular, demonstrating the application of advanced techniques to solve complex molecular modeling and simulation problems. The hands-on sessions featured a live-demo presentation on colvars definition and a private "molecular virtual reality tour". During the various social gatherings of the workshop, the participants had the opportunity to expand their network, discuss personal projects with Center's staff and enjoy a small fraction of the charming Champaign downtown atmosphere. The morning lectures can be seen on the Center's Facebook page and YouTube Channel. Contact Us // Material on this page is copyrighted; contact Webmaster for more information. // Document last modified on 19 Oct 2017 // .